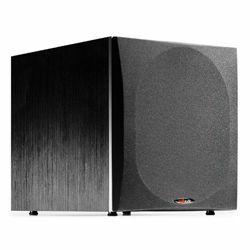 The Audioengine S8 subwoofer although humbly priced has received 4.5 stars on the Amazon customer reviews. Which is pretty impressive for a humble $350 price. Especially, considering the fact that S8 is the only woofer in the Audioengine product line. The one and only woofer has been first released in 2008 and is still firmly among the top-selling subs on Amazon. The company was founded in 2005 in Austin, TX. It has already gained widespread popularity with its wide range of products and great value for money. 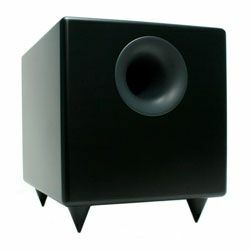 The cool thing about this woofer is that it is available in black and white cabinet options making it extremely stylish. 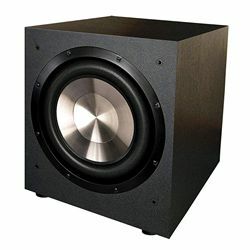 The solid matte MDF casing with 4 tapered legs and front ported down-firing woofer. The down-firing design means that the sound will be smooth and clear even at higher volumes. Plus the compact size allows you to easily find a spot for it in the room. S8 weighs only 30 pounds. Its width, length, and depth are only 11.2 inches. 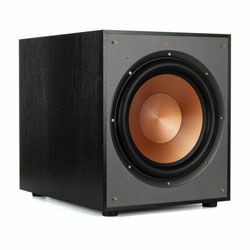 Audioengine S8 review is pretty impressive with the manufacturer foreseeing everything a customer might be looking for. Both white and black panels are of identical material and the same quality. All woofers and cables come with custom design bags. Really cute. The S8 specs are pretty impressive. It is a small compact 8-inch subwoofer that is power-saving, has a wireless option, and comes with a full set of wires for all its inputs. Each wire is 2 m by the way. 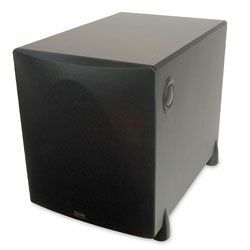 The effortless clean and smooth bass woofer boasts of a steel frame that kills all the resonation. It also has a sold heavy-duty rubber speaker surround for less vibration and improved sound clarity and accuracy. Another thing I liked is that all Audioengine products come with limited 3-year parts and labor warranty. Follow the instructions and all the repairs and exchanges will come for free. I always pay attention to things like that. It means that the company really cares. The thing is that the company has been trying to satisfy everyone with Audioengine S8 settings. And this struggle to achieve perfection has come at a price because from one standpoint the sound is extremely powerful. The volume control goes very high up. But from another side, it is still a small woofer that is not sealed and when you go too high up the noise and distortions come into play and spoil the experience. 27-180 Hz frequency response with 88 Db sensitivity sounds amazing though. I also liked the variety of available controls. Besides volume, you get to control the low pass filter and subwoofer phase. It is just enough for a regular user. The controls are simple to manage and to understand the operation principle. The woofer has LFE, RCA and mini-jack level inputs for the AV receiver. The versatile connection options make it easy to connect it with most of the AV receivers out there no matter old or new. S8 setup options are pretty versatile. You can go wireless with a $149 W3 Wireless adapter from Audioengine. All together the setup was quite an easy and quick experience for me. I like to double check the setup ease and manual simplicity by asking some non-geeky people to do it for me. S8 works amazingly with any Smart TV, game console, laptop, home cinema, etc. I tried it with my own toys and it came out amazing. This woofer might be small but don’t let the size fool you. 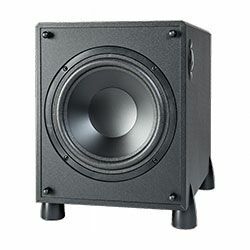 Audioengine S8 is quite impressive with an excellent clean yet powerful bass. It will be great for apartments, families looking to save funds, etc. I would also recommend it for game consoles when you just need a nice woofer for an extra pitch. Of course, if you are a die-hard audiophile like me you will hear the noise distortions and the shake on the higher frequencies. 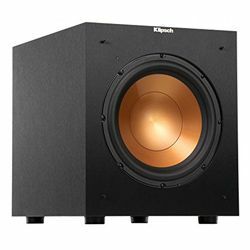 If you have extra funds to spend you can look into getting a premium sealed woofer from other brands that are closer to the high-end luxury spectrum.